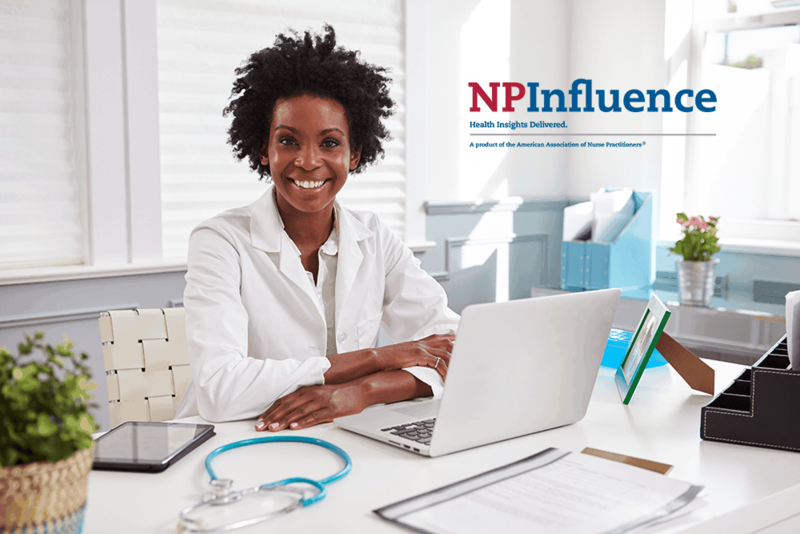 NPInfluence is America’s largest online panel of clinically practicing NPs in primary care, acute care, mental health and other health care settings. The opinions of NPInfluence panelists are valuable in shaping the future of health care and informing the development of health care products, therapies and public policy nationwide. Don’t miss this opportunity to collect key insights from NPs nationwide! NPInfluence works by sending surveys—sponsored by America’s most trusted health care brands, universities, hospital systems and government agencies—to panelists. Panelists then choose surveys in which they would like to participate and for which they can earn points for completion. If you are a researcher interested in surveying the panelists, please fill out this quick survey. Discover the wealth of information AANP provides about NPs and their practice.